22 Michaels: Fab.com raise $105m - incredible! Fab.com raise $105m - incredible! Fab.com, who we've followed since their launch recently announced they've raised a whopping $105m in Series C financing. Incredible! I love their content driven commerce and the way their store feels more like an application. 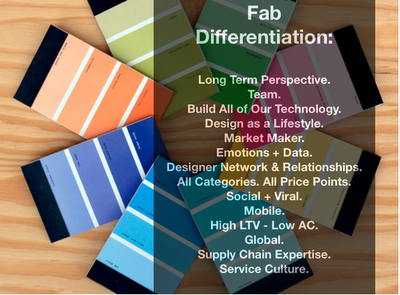 go fab.com! good to see such an innovative business challenging traditional retailing and succeeding..well done!